Rhode Island laws require you to hold at least the minimum amounts of required car insurance coverage. However, you may also purchase a number of optional insurance coverages to help protect you further. Learn more about Rhode Island car insurance law requirements, rates, programs, frauds and other relevant information on your car insurance. You must purchase liability insurance to help cover the cost of property damage and injuries resulting from car accident that you were found at fault. The minimum coverage limits for liability insurance are: $25,000 for bodily injury, per person $50,000 for total bodily injury, per accident $25,000 for property damage. An accident in which the at-fault driver has insufficient insurance or does not have car insurance. NOTE: If you are financing your car through a loan or lease agreement, both comprehensive and collision car insurance coverages are needed. Rhode Island car insurance law requires you to carry proof of insurance all the time while you are driving. Acceptable proof of insurance can be a photocopy of your car insurance ID card or the original card itself bearing your name and other relevant information. Failure to provide proof of insurance when stopped by a police officer or involved in an accident will result in a $500 fine. When you register your car or renew your registration, you will be required to sign a form verifying that you have valid car insurance. To apply for or renew your driver’s license in this state, you must sign a statement certifying that you will hold proof of insurance all the time. A random selection of drivers: Whose vehicle registration has been suspended for violating car insurance in the past 4 years Whose driver’s license has been suspended in past 4 years Who have purchased cars whose registration has been suspended in past 4 years. If you receive an insurance verification request from the DMV in Rhode Island, you must respond within 20 days. Vehicle registration and license plate revocation: First offense: 3 months Second offense: 6 months Third and additional offenses: 1 year. Using a forged license to purchase insurance. SR-22 certification can be cancelled after one year if you have not violated any traffic or insurance regulation, but remember the best way to avoid it is by keeping a clean driving record. 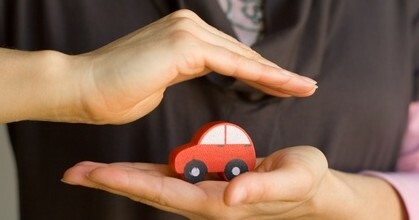 Rhode Island Department of Business Regulation, Insurance Division is the body responsible for regulating car insurance. This body reviews Rhode Island car insurance rates to ensure that they are fair. They also handle car insurance complaints and frauds. By faxing your complaint form to (401) 462-9602. Discounts for driver with training courses. Always compare the rates to get the most affordable quote. Many companies look mostly at your driving record when calculating your car insurance rates. So, keep a clean record all the time.